Thanks to the efforts of one company from Berlin, there is now half a ton less plastic waste floating in our oceans. Family-owned Knick Elektronische Messgeräte has acquired 1,000 recycled bracelets in time for tomorrow’s World Water Day (March 22). 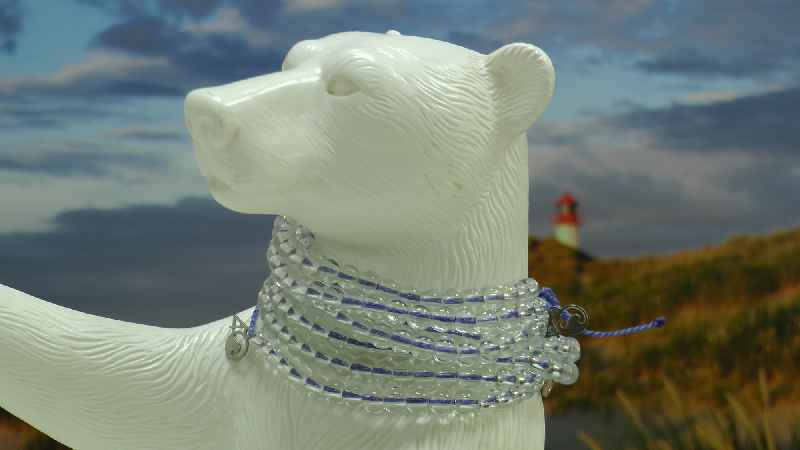 With this purchase the company has contributed to the funding of a worldwide clean-up campaign. Many systems installed on rolling stock need reliable information about the current speed – from braking systems to drives to door locks. This information is usually provided by speed encoders installed on the vehicle axles. Up until now, additional encoders had to be installed, if other systems also required speed data. Many systems installed on rolling stock need reliable information about the current speed – from braking systems to drives to door locks. This information is usually provided by speed encoders installed on the vehicle axles. Up until now, additional encoders had to be installed, if other systems also required speed data. This proves difficult sometimes, due to space limitations at the axles. And of course, the installation incurs additional costs. 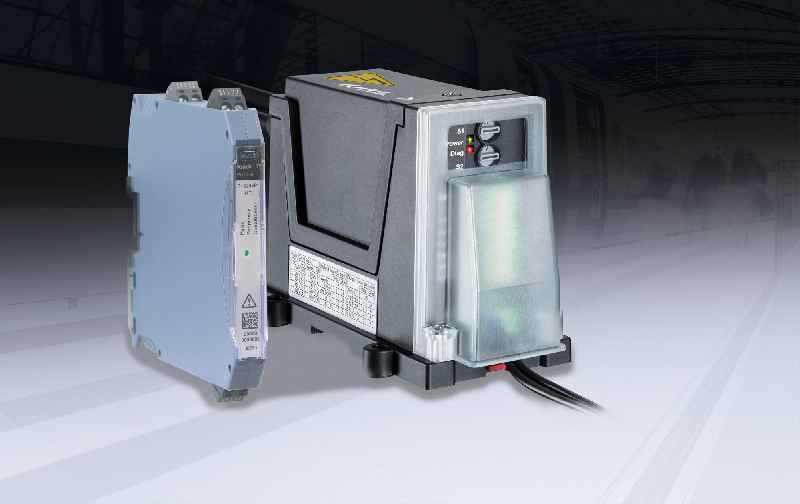 Introducing the ProLine P 16000 pulse frequency conditioner, Knick Elektronische Messgeräte now provides an economical solution, which can reliably and accurately reproduce encoder signals. The SIL-2-compliant conditioner enables functionally safe decoupling of speed sensor signals as well as of standard signals. It converts these signals into galvanically isolated, analog 0/4…20 mA or 0…10 V standard signals that can be directly transmitted to the controller or other subsystems. The pulse input reproduces the measuring ranges 0…500 Hz or 0… 20 kHz with a =0.2 % full scale accuracy. The signal inputs are designed according to the SIL 2 safety integrity level so that there can be no unwanted impact on the signal source, which could distort measured values. Since pulse signals are directly converted into standard signals, there is no need for additional pulse counting inputs in the controller. Furthermore, safety-related standard signals from existing measuring circuits can be picked up and transmitted as electrically isolated signals. P 16000 complies with all standard requirements for use on rolling stock. It is highly resistant to harsh environmental conditions. Proper function of the device is unaffected by electromagnetic interference, extreme temperatures, vibrations, or shock impacts. The conditioner complies with current fire regulations for rolling stock according to EN 45525-2 and UL61010. Due to the liberalization of the rolling stock market, more and more companies use the existing rail infrastructure. Trains are therefore equipped with energy measurement systems to track the power consumption of different operators and enable transparent billing. Due to the liberalization of the rolling stock market, more and more companies use the existing rail infrastructure. Trains are therefore equipped with energy measurement systems to track the power consumption of different operators and enable transparent billing. However, without reliable, highly accurate transducers, energy consumption data can only be of limited use. Developed especially for precise measurements on rolling stock, the EN-50463-compliant current and voltage sensors from Knick’s ProLine P 50000 series provide the basis for accurate power consumption accounting. The devices are used in protection and monitoring equipment, traction inverters, and auxiliary converters. In addition to current and voltage measurement, they are also used to detect short circuits. The 3-port isolation that is characteristic for Knick transducers completely rules out measuring errors that might otherwise occur due to a galvanic connection of output signal and auxiliary power supply. Moreover, the devices continuously monitor themselves, indicating their status via a diagnostic output. All P 50000 units can be integrated into existing system environments without additional effort, since they transmit measured values as floating analog 0/4…20 mA or 0…10 V standard signals. 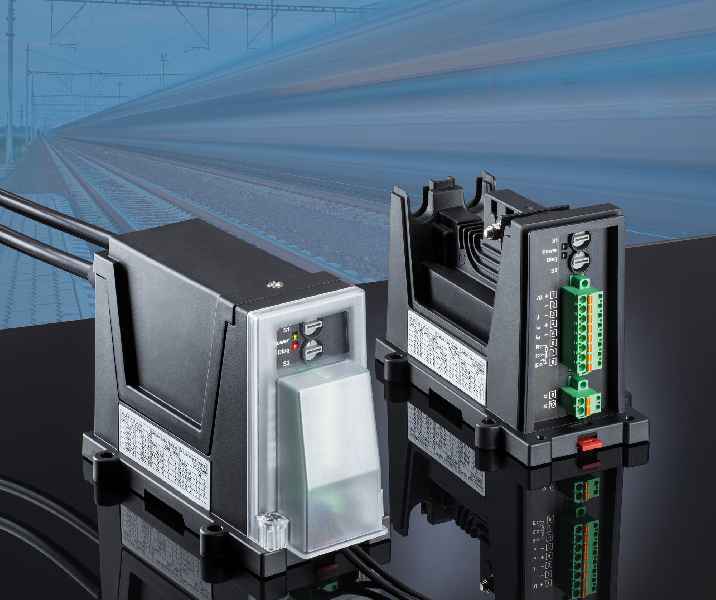 Maximum flexibility and safety are ensured by the integrated power supply for all voltages typical for the rail sector and by a comprehensive touch protection, which includes the input terminals. This ProLine transducer range comprises special-feature models such as the P 51000 current transducer that provides overload-proof detection of currents in the kA range via a shunt resistor. With this device, not even strong electromagnetic fields influence the measurement result. 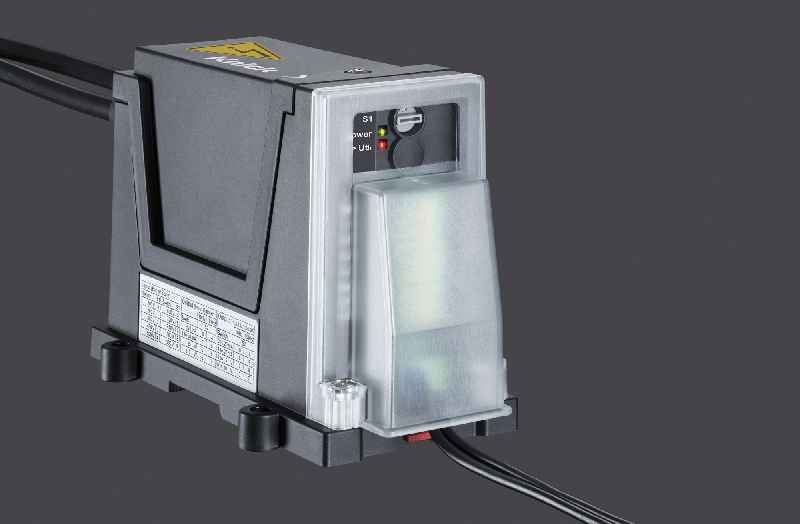 For precise detection of nominal voltages commonly used in rail applications (750, 1500, 3000 V DC), the ProLine P 50000 series also offers the very compact P 52000 transducer that is notable for safe encapsulation of high-voltage contacts and connections. This ensures there will be no dangerous mutual interference around other components. This transducer can therefore be installed without observing specific safety distances. The ProLine P 50000 range devices meet all normative requirements for use on rolling stock and in traction power substations according to EN 50155, EN 50124, and EN 50123-1. They feature EMC according to EN 50121-1 and EN 501-3-2 and fire protection up to hazard level HL3 according to EN 45545-2 (2016). The devices resist vibration and shock according to EN 61373. They are temperature classified as TX (-40 °C…85 °C) according to EN 50155/EN 50121-1, and altitude classified as AX according to EN 50155. They provide protective separation through reinforced insulation up to pollution degree 3 and over-voltage category 3. They feature protective covers that comply with EN 50153. P 50000 transducers achieve an MTBF (mean time between failures) of 155 years. Knick provides a five-year warranty on the devices. In the rail sector, reliable detection of applied voltages or unwanted potential differences is essential to ensure human safety and the protection of electrical installations. On the one hand, different ground potentials can cause dangerous voltages between wagons and platforms. In the rail sector, reliable detection of applied voltages or unwanted potential differences is essential to ensure human safety and the protection of electrical installations. On the one hand, different ground potentials can cause dangerous voltages between wagons and platforms. On the other, many switches and electric/electronic components must not be switched under load. Knick Elektronische Messgeräte has developed the ProLine P 52000 VPD voltage presence detector for the safe detection of voltages up to 4200 V in traction substations and on rolling stock. P 52000 VPD is based on the P 50000 transducer series, which complies with all relevant railway standards. A rotary switch installed on the front enables selection of ten predefined thresholds or user-defined values. The voltage detector compares the input signal with the selected threshold value. If, irrespective of positive or negative polarity, the threshold is breached, the detector will open a solid-state switch to signal an applied dangerous voltage. The output is isolated, protected against polarity reversal, and short-circuit-proof up to 30 V DC. The signal level is based on type 1 PLC signal inputs according to EN 61131-2 and is suitable to trigger controllers, hardware relays, and protection devices. Just like all P 50000 transducers, the P 52000 VPD voltage detector features calibrated range selection, 3-port isolation, full touch protection, and an integrated broad-range power supply for all voltages typical for the rail sector. It thus sets a new standard for this class of equipment. The voltage detector is compliant with current railway standards and meets all requirements on fire protection (HL3 according to EN 45545-2 ), electrical safety, mechanical robustness, resilience to extreme climatic conditions, and low EMI susceptibility. Smooth-running services as well as passenger and employee safety in railway operations depend on functions such as emergency shutdown in the event of short circuits, detection of delayed potentials, and safe signal transmission. Therefore, transducers for railway applications must meet the highest standards of reliability and precision. At the upcoming 2018 ACHEMA exhibition in Frankfurt, Germany, Knick Elektronische Messgeräte (hall 11.1, stand A45) will showcase “THE BEST OF MEMOSENS” comprising various groundbreaking product innovations for this digital sensor technology. At the upcoming 2018 ACHEMA exhibition in Frankfurt, Germany, Knick Elektronische Messgeräte (hall 11.1, stand A45) will showcase “THE BEST OF MEMOSENS” comprising various groundbreaking product innovations for this digital sensor technology. Memosens solves typical problems in fluid analysis through noncontact transmission of measured values, sensor data, and supply voltage. A manufacturer with a diversified product range, Knick goes a step further and offers customers essential added value with customized measurement point solutions for almost all applications – intelligent, fully automated, mobile, and space-saving. Intelligent device features for condition monitoring and predictive maintenance of sensors enable significant improvements of sensor lifetime, availability, and efficiency. 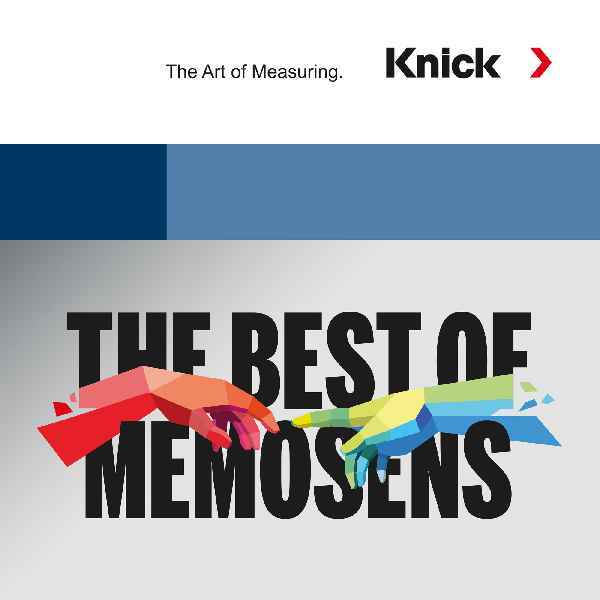 To this effect, Knick has fundamentally modernized its range of Memosens analyzers and analysis systems. Notably, the new Stratos Multi provides several advantages over previous generations of Stratos analyzers including a high-resolution, four-color LC display, multiparameter functionality, and full-text menus with optimized usability. In addition, the devices now feature a Profinet interface, a slot for USB-enabled memory cards for data recording or on-site firmware updates, and a sensor input for zone 0. Offering a unique range of extremely robust retractable fittings and powerful control, cleaning, and calibration systems, Knick enables measurement points in any environment to be fully and reliably automated. Another innovation on show at ACHEMA is MemoGate, the space-saving Memosens/fieldbus gateway, which is available for DIN-rail mounting or as a standalone IP68-protected device. Knick will also present its latest IIoT development for cloud-based remote maintenance and monitoring. More information about current innovations and Memosens solutions will be available at the www.the-best-of-memosens.com website, which will go online in May 2018. Knick Elektronische Messgeräte has expanded its range of compact transmitters for the Memosens standard by adding MemoTrans, an extremely lean 2-wire multiparameter solution that supports 4 – 20 mA and HART communication. Knick Elektronische Messgeräte has expanded its range of compact transmitters for the Memosens standard by adding MemoTrans, an extremely lean 2-wire multiparameter solution that supports 4 – 20 mA and HART communication. 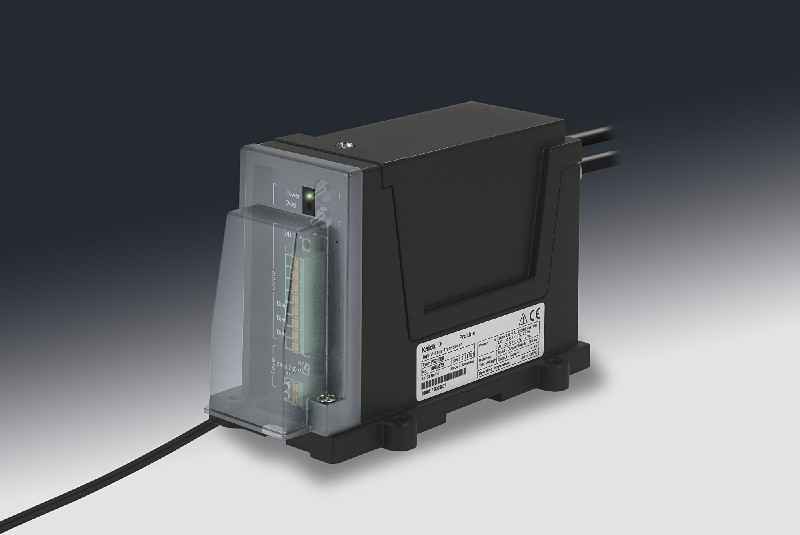 The combination of transmitter and sensor interface in a single space-saving unit enables a direct, loop-powered connection of the measuring point to the process control system. Thereby, Memosens technology can now also be employed in applications where conventional 2-wire transmitters do not require displays or control units on location, or where there is not enough space for a conventional transmitter. While sensor devices with an integrated transmitter unit have been available on the market for several years now, such combinations meant that the transmitter had to discarded along with the sensor whenever it had to be replaced – and all internally stored configuration and calibration data was lost in that process. The replacement device inevitably required a new configuration, with the associated maintenance and operating expenses. 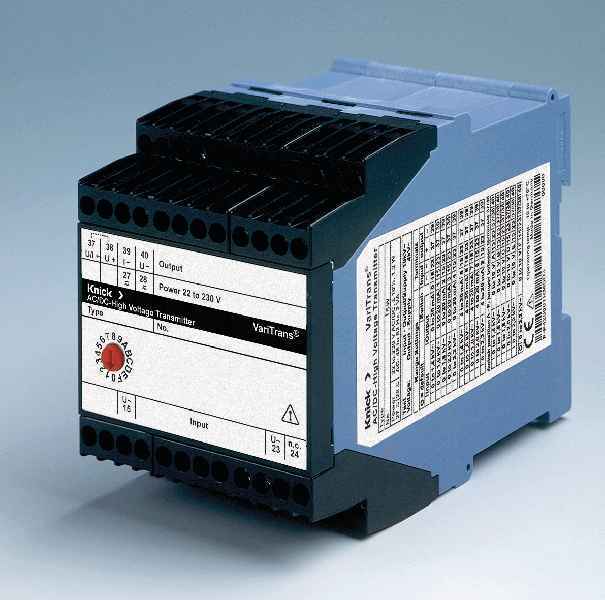 MemoTrans eliminates these drawbacks since the compact transmitter features an inductive sensor connection that can be disconnected. Furthermore, MemoTrans is a multiparameter transmitter. It can be used with all Memosens sensors for measuring pH/ORP, oxygen (amperometric measurement), or conductivity. A red or green LED on the MemoTrans housing indicates whether it is connected to the sensor. Once successfully connected, the Memosens sensor can be automatically identified by its sensor ID. Featuring an integrated Bluetooth interface, MemoTrans provides technical personnel with flexible and convenient direct access to the measuring point without necessarily requiring a display unit. All MemoTrans devices are visualized in the MemoTrans app for iOS and Android smartphones or tablets. Users can thereby set up the transmitter and calibrate and configure the sensor on the spot. The app also displays all current sensor and diagnostic data. In addition, MemoTrans supports the HART fieldbus standard and can therefore be accessed from the control system or via a HART handheld. Knick Elektronische Messgeräte (www.knick.de) is a globally recognized manufacturer of high quality signal, sensor, current and voltage measurement devices for utility, rail, ship, and other rugged environments. Knick Elektronische Messgeräte (www.knick.de) is a globally recognized manufacturer of high quality signal, sensor, current and voltage measurement devices for utility, rail, ship, and other rugged environments. With the announcement of their series P 43000 TRMS AC/DC high voltage transducers, Knick have defined a completely new class of AC/DC transducers for true RMS values. Input values range from 100 mA up to 5 A AC. They are output as standardized analog DC signals (0…20 mA, 4…20 mA, 0…10 V). A rotary coding switch on the front facilitates comfortable, calibrated switching between up to 16 customized ranges. Traditional AC/DC transducers are very susceptible to errors due to their poor insulation and are only designed for pure sinewave measurement. The Knick P 43000 TRMS, however, has been developed to also accurately process distorted input signals. The highly accurate true RMS circuit converts signals with a crest factor of up to 5 in the frequency range of 40 Hz to 1000 Hz or 8 Hz to 400 Hz. The VariTrans P 43000 TRMS withstands working voltages up to 3600 V AC/DC and test voltages up to 15 kV. Protective separation of the input, output and power supply provide protection from electric shock up to 1800 V AC/DC according to EN 61140. Knick’s own TransShield technology facilitates an extremely compact, shielded design of the high-voltage transformers, allowing the VariTrans P 43000 TRMS to fit into a very compact, only 45 mm wide housing. Vacuum encapsulation provides maximum long-term protection against aggressive environmental influences, shock and vibration. 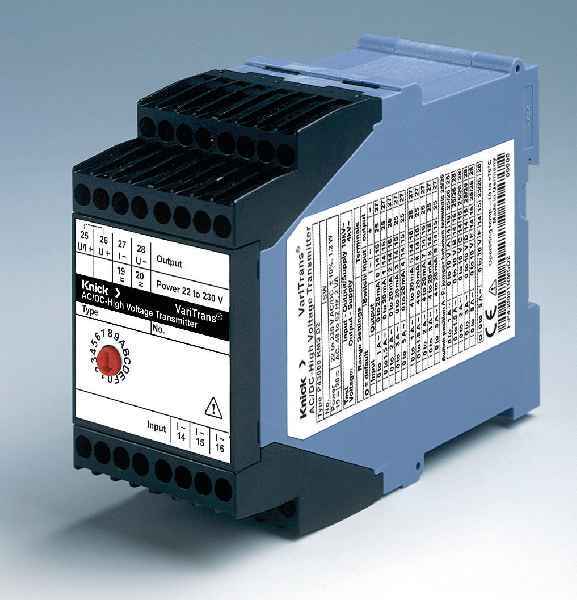 In addition, VariTrans P 43000 TRMS transducers come with an integrated VariPower broad range power supply for supply voltages from 20…253 V AC/DC, which ensures maximum safety even in regions where auxiliary power is shaky. Knick VariTrans P 41000 TRMS transducers come with a five-year warranty. For more information please contact Knick Elektronische Messgeräte at info@knick.de or visit us at www.knick.de. Knick Elektronische Messgeräte expand their slim Memosens transmitter series MemoRail for control cabinet installation with a Modbus interface version: The MemoRail Modbus A1405N is the first multi-parameter analyzer that provides process technology operators with an economic, compact transmitter for full-featured integration of Memosens monitoring stations into the fieldbus standard. Up until now, operators could only choose between comprehensively equipped analyzers with a display or compact transmitters with limited functionality. The new MemoRail Modbus modules from Knick, which feature a modular housing with a width of just 17.5 mm, not only transmit all sensor data and readings to the Modbus master using the MODBUS RTU data format. Unlike conventional compact solutions, they also enable unrestricted access to device configuration and sensor calibration via Modbus. 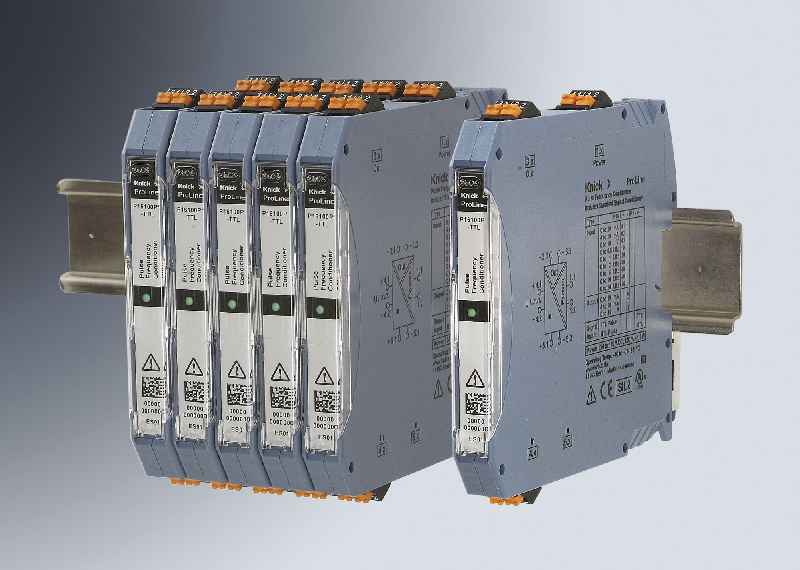 Up to 32 transmitters can be connected to a Modbus master. For the measurement of pH/ORP, conductivity or oxygen, MemoRail Modbus can be combined with all Memosens and digital sensors, whether pH glass, IsFET, oxygen, or conductivity (conductive and inductive). What’s more, the DIN rail module is the only analyzer of its class that enables the connection of LDO sensors (luminescent dissolved oxygen) for the optical measurement of oxygen. The new devices come as single- or dual-channel versions with freely combinable parameters or sensors. Either two freely selectable Memosens sensors or a Memosens sensor and a SE 740 LDO can be connected. 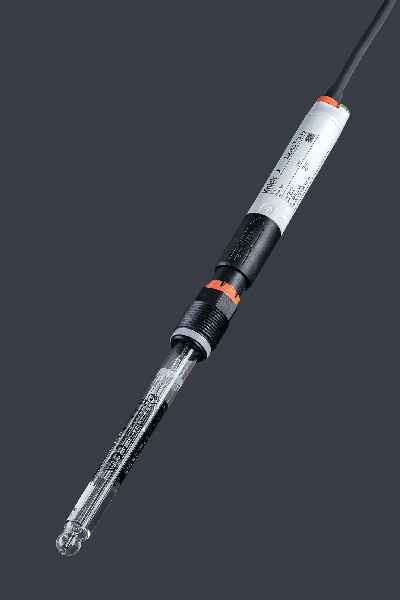 Additionally, the transmitters allow for the connection of the new SE 554 X/1-AMSN and SE 555 X/1-AMSN combination sensors that synchronously measure pH and ORP values. In this way, a dual-channel MemoRail model provides four readings as well as temperature. The network address for rapid MODBUS configuration is set via DIP switches on the front panel. The 24 V DC supply can be connected either via TBUS or via a cable connected to the terminals at the back. Red and green LEDs indicate the device status, communication interruptions, defective sensors or device settings unsuitable to the sensor as well as the device’s maintenance requirements. 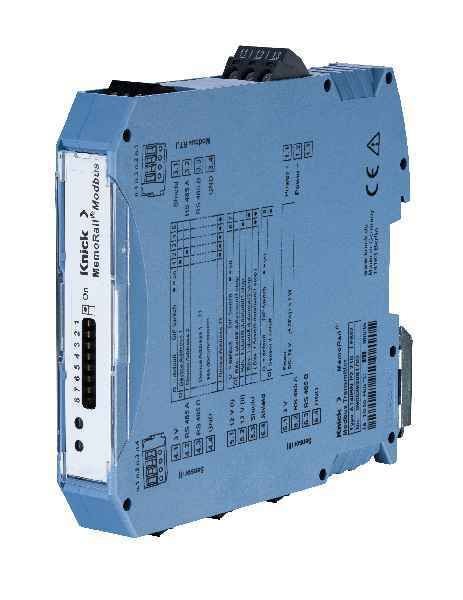 Knick provides a 3-year warranty on the MemoRail Modbus transmitters. The „Memosens Academy“ recently launched online at memosens-academy.com teaches users the basics of Memosens digital sensor technology in an entertaining and easy-to-understand fashion. A number of real-world application showcases demonstrate how Memosens can be used to resolve typical issues in liquid analysis. The „Memosens Academy“ recently launched online at memosens-academy.com teaches users the basics of Memosens digital sensor technology in an entertaining and easy-to-understand fashion. A number of real-world application showcases demonstrate how Memosens can be used to resolve typical issues in liquid analysis. Users also learn how this sensor technology can outperform conventional solutions in challenging measurement tasks. The website not only focuses on technical advantages, but notably also on the technology’s economic benefits. Memosens has become the leading standard for digital process sensors since its launch almost ten years ago. Yet, many operators of process plants are not familiar with all the functions the technology offers. This includes important features that provide great benefits. Memosens Academy therefore also explains how an enormous savings potential can be leveraged, for instance, through pre-calibrating Memosens sensors in the laboratory and through implementing predictive maintenance. Based on an evaluation of the operating data collected in the sensor head, sensors can be swapped out at the ideal moment for regeneration according to their individual exposure profile. This increases their overall lifespan – for use and re-use after regeneration – by up to 40 percent. 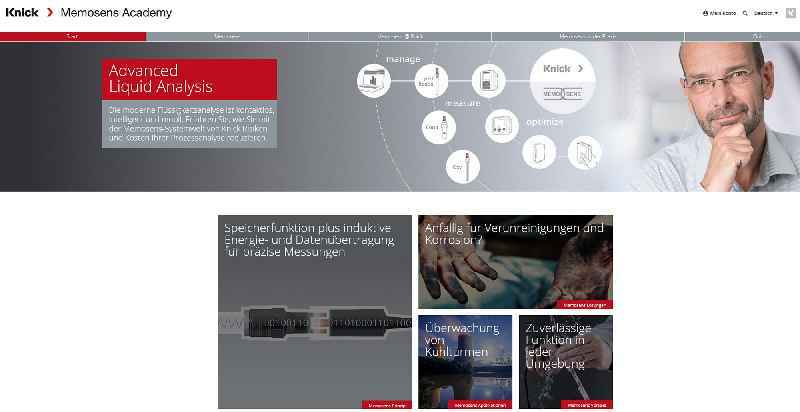 Users browsing the Academy site for specific solutions for demanding measurement needs will also find an overview of the Knick portfolio of innovative Memosens products and their outstanding features. This wide range comprises many devices in various product categories, from space-saving MemoRail compact transmitters for integrating measuring points directly into the control system, to low-cost 2- or 4-wire Stratos series industrial transmitters, to modular full-scale systems for automated measurement, sensor calibration and sensor cleaning in rough conditions, to portable Memosens multi-parameter analyzers of the Portavo series, which are unique on the market. Knick’s Memosens program is continuously expanded, with all-new compact MemoTrans transmitters currently pending for launch, which integrates a miniaturized transmitter unit right into the Memosens sensor coupling at the end of the cable. After perusing the plentiful information on the site, visitors can test their newly acquired Memosens knowledge and liquid analysis know-how in a quiz. Enough right answers will earn them the title of „Memosens Master“ as well as a chance to win a high-value Amazon voucher. 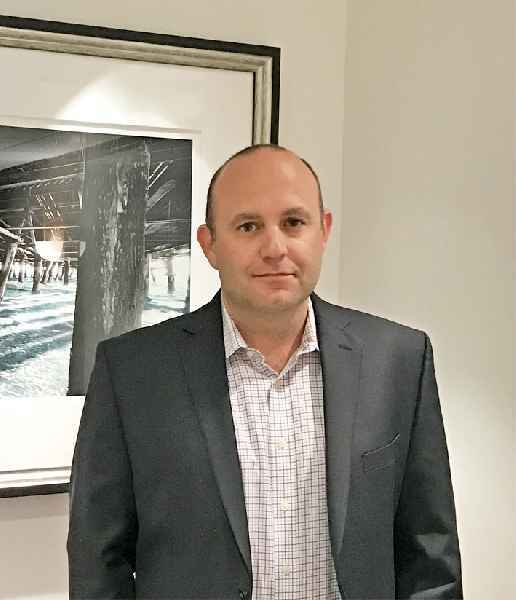 Berlin – Berlin-based interface specialist Knick Elektronische Messgeräte announce the opening of their new subsidiary in the USA. With its ProLine range of high-precision signal conditioners and transmitters, Knick focuses on delivering solutions for demanding applications, such as are found in railway and nuclear power industries. With the investment in their new locations in California and Ohio, Knick clearly commit to supporting their international customers. With its ProLine range of high-precision signal conditioners and transmitters, Knick focuses on delivering solutions for demanding applications, such as are found in railway and nuclear power industries. With the investment in their new locations in California and Ohio, Knick clearly commit to supporting their international customers. Knick Interface LLC will be managed by Mr. Steve Allard, who brings substantial experience in both factory automation and process control industries. 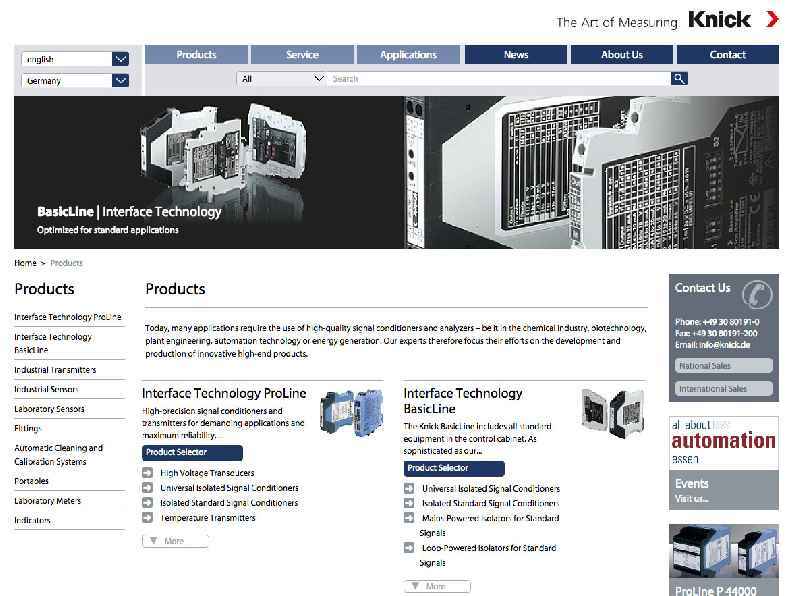 More information regarding Knick Interface and their products can be found at www.knick-interface.com. AC/DC high voltage transducers are used for measuring the true RMS value of input voltages up to 3600 V.
Berlin, Germany – Knick Elektronische Messgeräte ( „http://www.knick.de/“ ) is a globally recognized manufacturer of high quality signal, sensor, current and voltage measurement devices for utility, rail, ship, and other rugged environments. With the announcement of their series P42000 TRMS, Knick has defined a completely new class of AC/DC transducers for true RMS values. Berlin – Transducers of the new ProLine P50000 series from Knick Elektronische Messgeräte were specially developed for voltage and current measurement in main and auxiliary power circuits of locomotives and multiple units. They are used, for example, for short circuit detection as well as for monitoring of traction motors and inverters, auxiliary inverters and accumulator batteries. Berlin – Transducers of the new ProLine P50000 series from Knick Elektronische Messgeräte were specially developed for voltage and current measurement in main and auxiliary power circuits of locomotives and multiple units. They are used, for example, for short circuit detection as well as for monitoring of traction motors and inverters, auxiliary inverters and accumulator batteries. The devices comply with all applicable railway standards and thus meet the high demands of fire protection (HL3 according to EN 45545-2 (2016)), electrical safety, mechanical robustness as well as insensitivity to extreme environmental conditions and electromagnetic interferences. 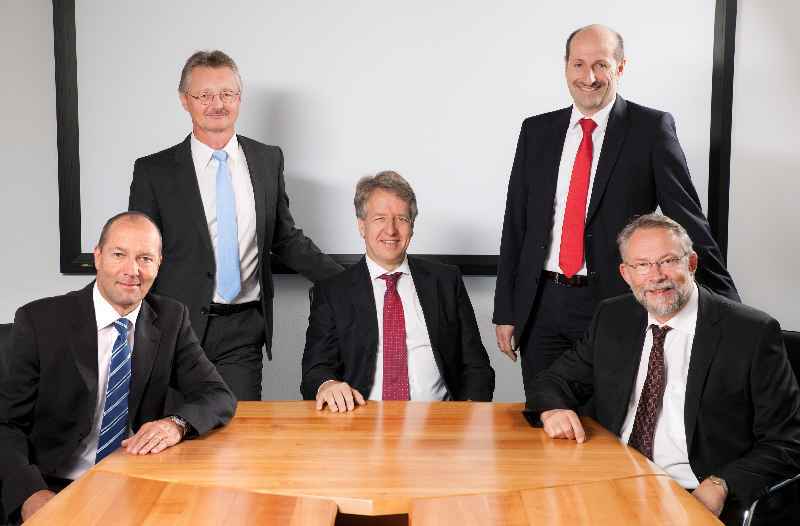 Berlin – The management team at Knick Elektronische Messgeräte has been expanded and responsibilities have been realigned as part of the company’s business growth strategy. Joining the Executive Board on 1 August, Gerhard Madl has taken over the Marketing and Sales division. Berlin – The management team at Knick Elektronische Messgeräte has been expanded and responsibilities have been realigned as part of the company’s business growth strategy. Joining the Executive Board on 1 August, Gerhard Madl has taken over the Marketing and Sales division. Madl has extensive previous experience in international sales. The move relieves Board Member Dr. Dirk Steinmüller, who is now free to focus entirely on taking the lead in Business Development and to advance the continuous development of Knick’s product line-up and market strategies. 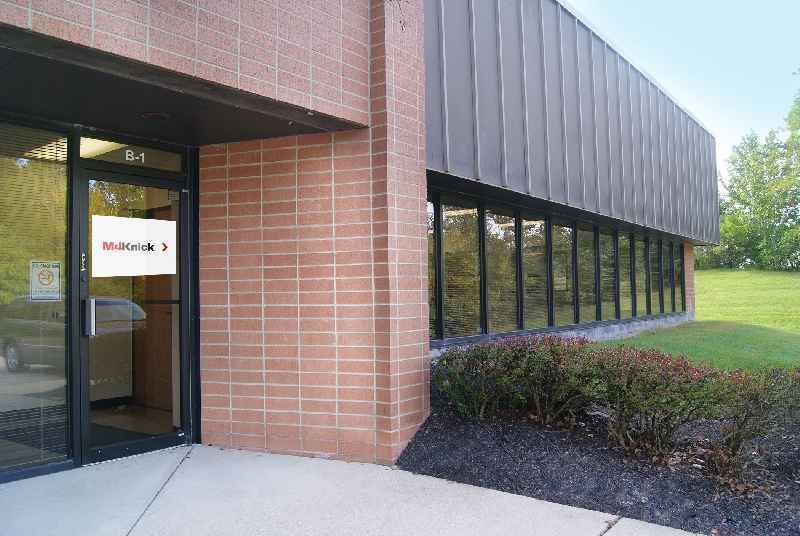 Berlin – Berlin-based process analytical specialist Knick Elektronische Messgeräte (Knick) and Cincinnati-based M4 Instruments announce their mutual strategic investment in M4 Knick LLC, Cincinnati. Berlin – To start the new year, Knick Elektronische Messgeräte has redesigned its website from the ground up. In redesigning the website, Knick has placed particular emphasis on intuitive, easy-to-navigate and enhanced product and service information.